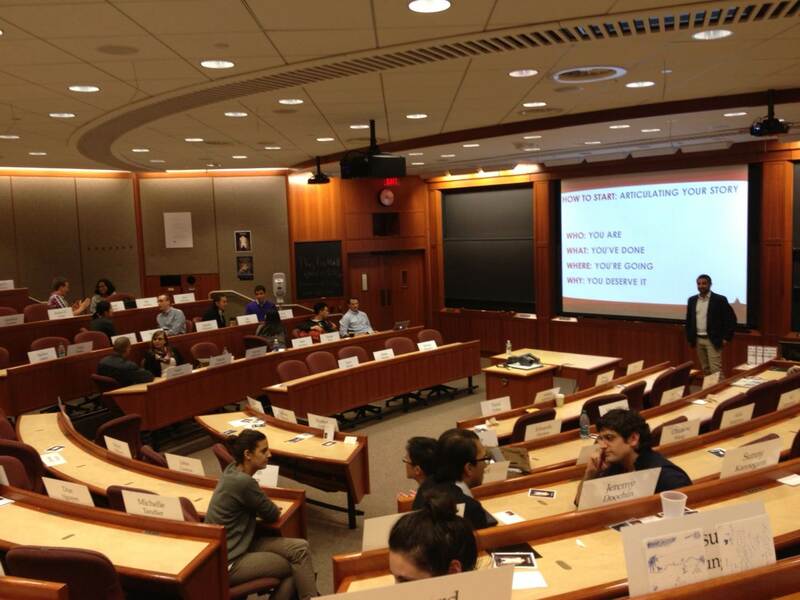 Well, it’s definitely the top business school in the world for a reason (http://www.hbs.edu/), and it was an honor to lead a workshop with the students. It was a shorter presentation than usual – only 1 hour, so we didn’t have much time to waste. There was great energy in the room, and I was also very excited because there were nearly 3x the number of students I was anticipating that arrived! The workshop covered the Rockstar Approach, and laid out the “science” of networking which was a big hit with the students. I placed emphasis on creating a personal narrative and articulating a great story – a key to networking success. We practiced this with some break-out activities, and even had a Rockstar in the room who came to the front of the classroom and delivered his personal pitch for his whole class – and did a great job at it! We then did a live-feedback on ways to make his pitch even stronger. It was a wonderful surprise when students learned Booz & Company had purchased copies of the books for all students, so everyone walked away with some “Rockstar”… and some signed copies as well! Well, hopefully I will be back again next year so all RCs can put the Rockstar Approach to use at the beginning of their HBS experience! 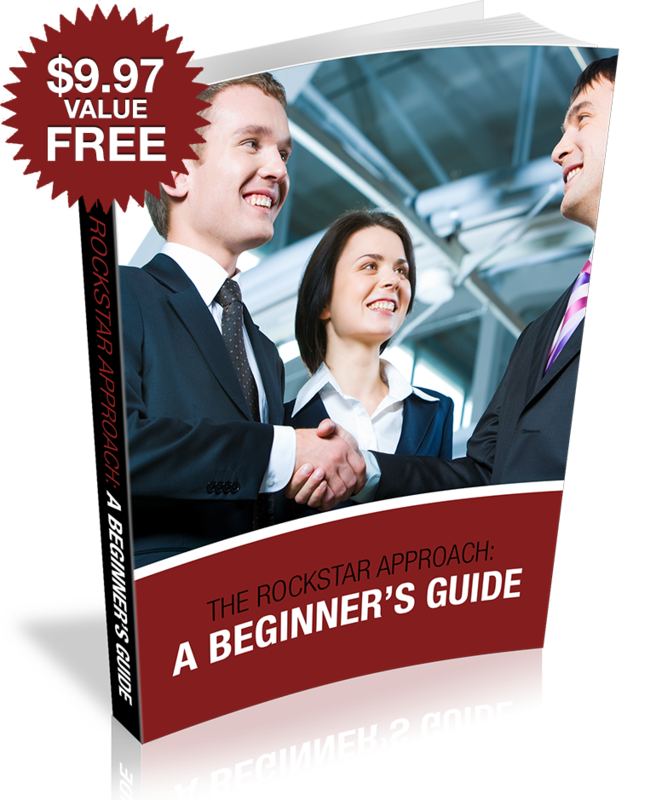 For some, networking can be an “art”… but with the Rockstar Approach it’s also a “science” that everyone can understand and utilize to get their dream job!